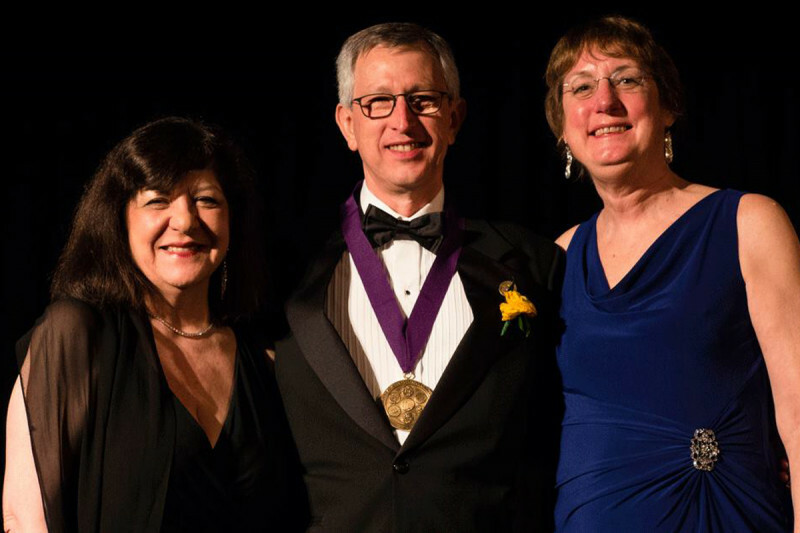 AACR CEO Dr. Margaret Foti (left) and President-Elect Nancy E. Davidson (right) join Sloan Kettering Institute Director Dr. Joan Massagué (center), who received the Pezcoller Foundation-AACR International Award for Cancer Research and was also named an AACR fellow. MSK scientists featured prominently in the opening days of the annual AACR conference, held this year in New Orleans. They presented new data from clinical trials of both targeted drugs and immunotherapies, and were recognized for their scientific accomplishments. A new targeted therapy offers promise in treating patients with several types of cancer whose tumors exhibit a common mutation. Melanoma patients receiving a combination of two immunotherapy drugs show improved overall survival. Gut bacteria can influence the effectiveness and toxicity of cancer treatment. This weekend marked the start of the 2016 annual meeting of the American Association for Cancer Research (AACR), held in New Orleans. Memorial Sloan Kettering scientists unveiled promising new clinical and laboratory data during the first two days of the conference, which annually attracts more than 15,000 cancer researchers from around the world who are eager to learn about the latest developments in the field. Among the highlights were long-awaited results from two important clinical trials, a lesson in how gut bacteria can affect cancer treatment, and an award for one of MSK’s senior scientists. 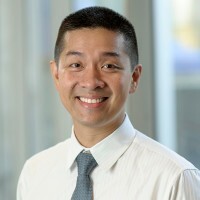 On Sunday, MSK medical oncologist Alexander Drilon presented combined results from two phase I studies showing that an experimental drug called entrectinib can slow or stop tumor growth in patients with a particular kind of genetic mutation. The mutation is called a gene fusion and results in two different gene regions joining together. The particular genes involved are ones that regulate how cells survive and multiply. Our study shows that entrectinib benefits patients by targeting the proteins that result from these gene fusions. The two trials enrolled patients with several different solid tumors — including lung, colorectal, and salivary gland tumors. In patients whose cancers had fusions of the genes NTRK, ROS1, and ALK and who had not had prior treatment with a drug similar to entrectinib, about 70% responded to treatment. After an average follow-up time of almost a year, the majority of patients who responded to the drug in the beginning continued to do well. According to Dr. Drilon, one of the most exciting findings was that entrectinib was effective at treating cancer that had traveled, or metastasized, to the brain. One patient, a 46-year-old man with very advanced lung cancer and brain metastases who was about to enter hospice, experienced a dramatic response to the experimental drug. One year later, his lung tumor had shrunk 80% and the cancer in his brain had disappeared completely. Though emphasizing that these are early results, Dr. Drilon suggested that patients and their physicians should strongly consider genetic testing to determine whether these gene fusions are present. MSK-IMPACT™, a genomic test that allows doctors to identify mutations in a patient’s tumor, is helping to make MSK a leader in clinical trials of targeted therapy. “Having MSK-IMPACT available allows us to quickly match patients with the appropriate trial that targets their cancer,” Dr. Drilon added. Dr. Drilon’s study was highlighted in the AACR press program and he presented his work at a press conference on Sunday morning. AACR chooses studies that it thinks are particularly noteworthy for inclusion in the press program. A follow-up phase II “basket” study to evaluate the benefit of this therapy in this patient population is planned. 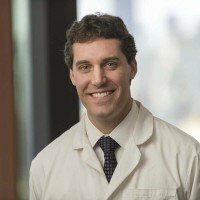 The other big news of the day came from MSK medical oncologist Michael Postow, who presented the latest results from an ongoing phase II clinical trial of a breakthrough immunotherapy combination being studied in patients with previously untreated advanced melanoma. The combination consists of two immunotherapy drugs, ipilimumab and nivolumab, given together. According to Dr. Postow, 69% of patients receiving both drugs were still alive two years later, compared with 54% for ipilimumab alone. The FDA approved this particular combination in October 2015 on the basis of early results from this same study. At that time, an overall improvement in survival — people living longer — had not yet been shown. The results unveiled today show that, indeed, the combination is extending life for people with advanced melanoma. According to Dr. Postow, 69% of patients receiving both drugs were still alive two years later, compared with 54% for ipilimumab alone. Dr. Postow’s results were echoed by those of F. Stephen Hodi, a collaborator from the Dana-Farber Cancer Institute in Boston. Dr. Hodi presented data showing that nivolumab alone improves survival for patients with melanoma compared with historical controls. More than a third (34%) of patients who received nivolumab as part of a trial beginning in 2008 were still alive five years later. For comparison, the five-year survival rate for patients diagnosed with metastatic melanoma between 2005 and 2011 was just under 17 percent. That’s double the survival rate. 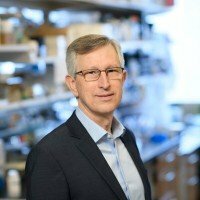 On Saturday, in a session devoted to understanding how the microbiome — the universe of microbes that live on and in our bodies — affect cancer treatment, MSK’s new Parker Institute for Cancer Immunotherapy co-director Marcel van den Brink discussed the progress his lab has made in improving outcomes for patients receiving bone marrow transplants. 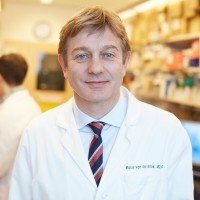 By studying stool samples collected from many hundreds of patients treated at MSK over the past few years, Dr. van den Brink and colleagues were able to draw links between the level of diversity of gut microbes and a complication of bone marrow transplantation (BMT) called graft-versus-host disease (GVHD) — when the transplanted immune cells attack normal tissues. Because BMT patients are at risk of infection, they are often given antibiotics. While this treatment helps to prevent infection, it has the downside of eliminating beneficial bacteria too. Dr. van den Brink found that the use of antibiotics that kill off more bacteria (so called broad-spectrum antibiotics) was associated with more-severe GVHD. His team also found that the presence of certain types of bacteria was associated with lower risk of cancer relapse. Overall, his results underscore the importance of the gut microbiome in shaping both the effectiveness and toxicity of cancer therapy. In addition to unveiling new clinical data, MSK scientists were front and center at AACR in other ways. Physician-in-Chief José Baselga, who is the president of AACR until the end of this conference, gave the inaugural plenary address on Sunday to a packed crowd of thousands at the Morial Convention Center. Dr. Baselga also moderated a panel discussion in the afternoon called “Maximizing Cancer Cures: How Do We Get There?” with several leading experts in the field. Director of the Sloan Kettering Institute Joan Massagué received the Pezcoller Foundation-AACR International Award for Cancer Research. Established in 1997, the Pezcoller Award recognizes a scientist who has made a major scientific discovery in basic or translational cancer research and whose ongoing work holds the promise for continued progress in the field. Dr. Massagué is being recognized for his pioneering work on understanding TGF-β, a protein that plays fundamental roles in both normal biology and cancer metastasis. Dr. Massagué was also one of 11 newly elected AACR fellows for 2016. For more about Dr. Massagué’s research in metastasis, including recent discoveries about how cancer cells manage to hide out in the body for years at a time, click here.